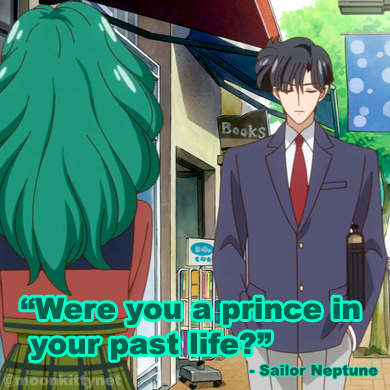 Mamoru, in Prince Endymion garb has told Sailor Moon that from now on he will be her enemy as he cannot allow the planet, his planet, to be destroyed. With that, he and Jadeite, Zoicite and Kunzite teleport back to the Dark Kingdom. As Mamoru puts up his sword in his new bedroom in the Dark Kingdom's palace, Mio appears lying on his bed behind him and giggles over the fact that he and Usagi are now against each other and tells him that Usagi could still destroy the world. Mamoru tells her that he thinks Usagi's stronger than that but Mio happily asks him if he really thinks so. Mamoru doesn't reply. 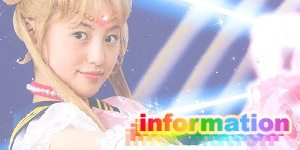 Meanwhile, Usagi has returned to Crown Karaoke and tells everyone what happened. 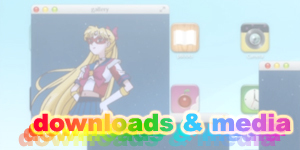 Mostly they're just happy she's okay because of her recent disappearance as Princess Sailor Moon. Usagi then immediately decides to cheer herself up and begins eating some cake (strawberry first!) and tea. The others are surprised at how quickly her mood changed but she tells them there's no way that Mamoru would really be on Beryl's side. Luna reminds her that Mamoru was Prince of the Earth in his past life and that him not wanting his own planet destroyed isn't a completely outrageous idea. At the reception desk, Motoki is distracted by a loud crash. Turns out he has given Nephrite a job at Crown to pay back the money he owes for breaking Motoki's things the other day. Nephrite is still furious. Elsewhere, Minako is talking to Artemis about her career. She realises that her work has been suffering recently due to her duties as a Sailor Soldier and her illness. Artemis tells Minako that he doesn't like her manager as he kissed him the other day. What's worse, that was Artemis' first kiss! Minako just laughs and congratulates him on becoming a man. Artemis isn't happy at all. At that moment, Usagi arrives home, carrying Luna with her. As she enters her house she's surprised to see her mother, Ikuko talking with a familiar looking man! The man sees her and gets up for a closer look and they both recognise each other. He's Minako's manager! Ikuko is shocked that they've already met and he starts over and tells Usagi it's nice to meet her. 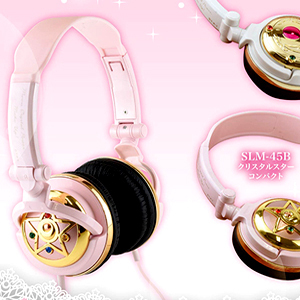 He then sees Luna and tells Usagi that Minako has one just like it only her's is white. He then picks Luna up and kisses her right on the face. Luna sqwirms and mumbles under his kisses. 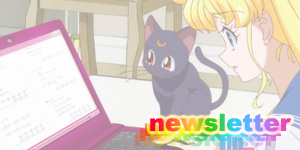 The manager then tells Usagi that he's found out about a job for a new housewife reporter that Ikuko would be perfect for but they need to make an audition tape for it. He then takes the whole family to a park and forces them to endure numerous humiliating activities such as rope climbing and grass crawling. In the Dark Kingdom, Mamoru tells Kunzite to declare war on the princess. Kunzite then goes with a Youma to the park where Usagi is and gets to to start firing on her with her family in it's path! Luna, no in human form tells Usagi that it's a Youma firing at them and gets her to separate from her family so they can both transform. Once in their Sailor Luna and Moon forms, Luna uses a new hearing power to locate where the Youma is located and goes after it. 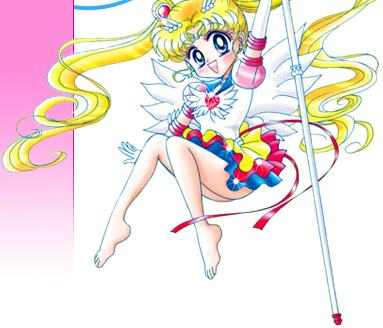 Sailor Moon is separated from Sailor Luna by Mamoru who teleports onto the scene and challenges her to battle. Alone against Kunzite and the Youma, Sailor Luna begins to speed all over the place in an attempt to distract them while she attacks Kunzite with her fan from behind. 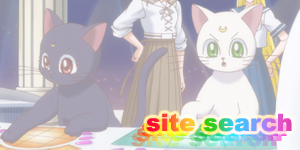 Having seen this attack before though, he blocks it and throws Sailor Luna back. She then picks up her fan and powers it up into a gold metallic fan. Unfortunately it's too heavy for her and she loses her grip on it and tosses it backwards. As luck would have it it lands on the Youma's head and knocks it over. Sailor Luna then takes this opportunity, picks up her fan, transforms it into her Moon Wand and destroys the Youma with Luna Sucre Candy! Elsewhere, Mamoru has knocked Sailor Moon's Moon Wand out of her hand. 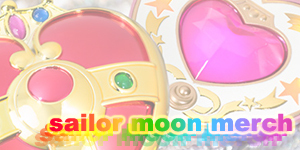 Sailor Moon doesn't believe he's serious about fighting her so he slices the chain holding the star locket he gave her and sends the watch falling to the ground. As Sailor Moon picks it up, the glass in it cracks, symbolising the destruction of their relationship. Sailor Moon, now distraught, begins to cry and loses control of her powers sending a giant white wave of energy over the entire area. The ground begins to shake and Shingo, walking across a bridge elsewhere in the park falls over the edge and just manages to hang on to the railing. 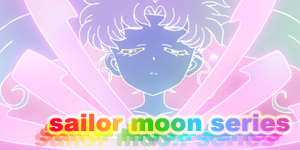 Sailor Moon senses this and with Mamoru's encouragement pulls her power back in. The shaking stops. 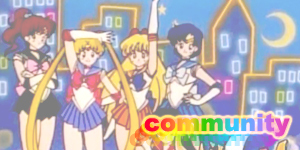 Mamoru tells her that they will need to draw on their experiences if they are to prevent the world's destruction. Ikuko and Minako's manager are meanwhile terrified over the earthquake and are screaming for help... hanging from the children's playground equipment. Back in Minako's hotel room Minako is glancing at all the cds and magazine covers spanning her entire career. She then tells Artemis that she will quit being an idol.